All of the characters from the first film are back, essentially placed very awkwardly into the Meet the Parents narrative, with a few forced messages about conservationism for good measure. Blu (Jesse Eisenberg) and Jewel (Anne Hathaway) take their three kids into the Amazon in search of their friends/owners, inexplicably coming across a whole pack of blue macaws. Among them is Jewel’s father (Andy Garcia), and a handsome and charming childhood friend to make Blu appropriately uncomfortable and jealous for much of the film. Attempting to do too much with too little focus, the film has several storylines and villains. Along with the fish-out-of-water dynamic of Blu’s inability to survive in the wild, a corrupt business man is tearing down the forest nearby, and Nigel returns to comically attempt to enact revenge for the first film. There are also a series of talent show auditions, which just add more clutter to the film and special features. All this film really seems to focus on is the spectacle of the musical numbers, which might be an adequate distraction for younger audience members now that their parents can turn it on and leave the room. 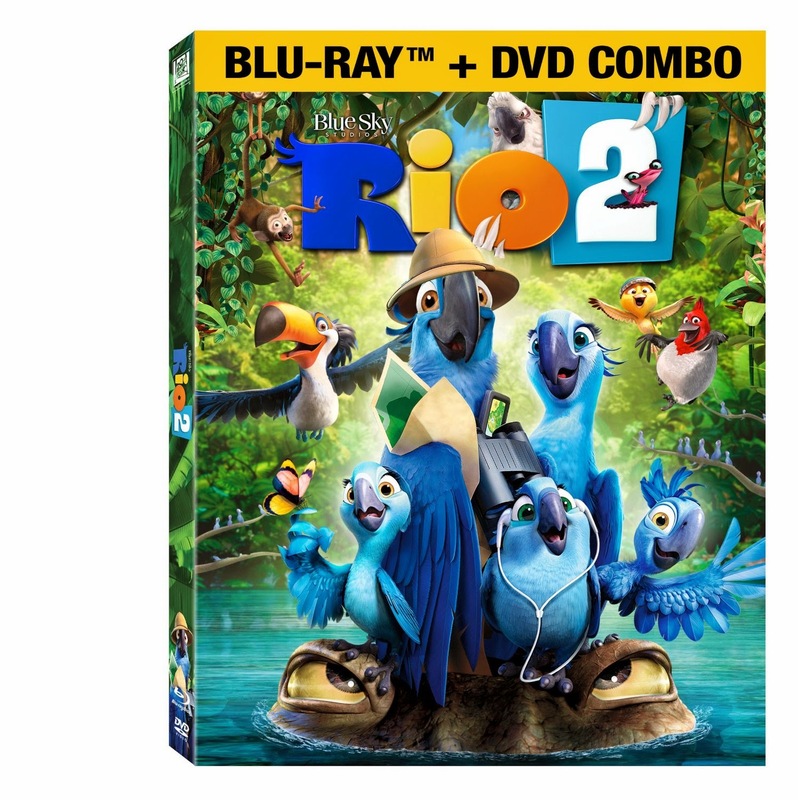 The combo-pack Blu-ray release of Rio 2 includes a DVD and digital HD copy of the film as well. The special features are crammed with extras as well, which include plenty of deleted scenes and added sequences. The “You Be the Judge” added auditions for the talent show would be more amusing if the title of the featurette were at all accurate, and if they didn’t have the same ending to each of the deleted scenes in this category. There is also a refresher of what happened in the first film, for those who only remember the musical sequences. Those musical numbers are highlighted even more in this film, with a sing-a-long section in the extras. There are also a few featurettes about the performers and a music video.